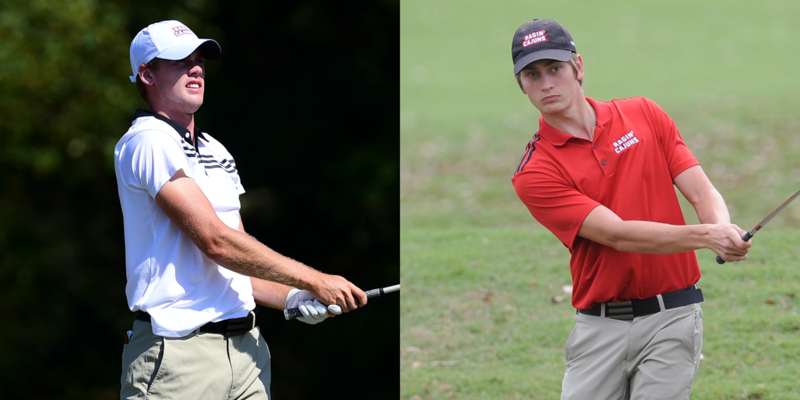 NORMAN, Okla. – Louisiana Ragin' Cajuns golfers Ragnar Gardarsson and Thomas Strandemo were named 2017 Cleveland Golf/Srixon All-America Scholars, the Golf Coaches Association of America (GCAA) announced on Thursday. "I would like to thank Thomas and Ragnar for the way they have represented our program and University," head coach Theo Sliman said. "This award is significant and a testament to the hard work and sacrifice these two young men gave during their time as student-athletes. Their success in the classroom as well as on the golf course continues to shape the strong culture set before them and for the players returning." To be eligible for Srixon/Cleveland Golf All-America Scholar status an individual must be a junior or senior academically, compete in at least three full years at the collegiate level, participate in 50-percent of his team's competitive rounds, have a stroke-average under 76.0 in Division I and maintain a minimum cumulative career grade-point average of 3.2. Recipients must also be of high moral character and be in good standing at his college or university. Both Gardarsson and Strandemo earned the honor for the second time in their career with Strandemo receiving the distinction in 2015 while Gardarsson was named to the list in 2016. Gardarsson notched a 74.67 scoring average in 30 rounds posting seven rounds of par or better as a senior. Strandemo carded a 75.43 scoring average in 21 rounds this past year after missing the 2015-16 season due to injury.